Date: 21st April 2019 Time: 9.00am to 11.30am Title: Why Bother to be Morally Strong. Speaker: DD Tan Huat Chye. 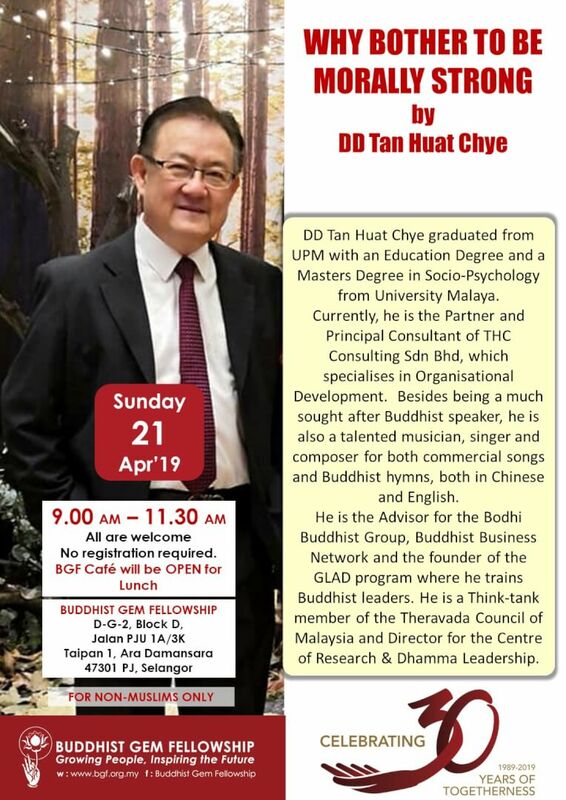 DD Tan Huat Chye graduated from UPM with an Education Degree and a Masters Degree in Socio-Psychology from University Malaya. Currently, he is the Partner and Principal Consultant of THC Consulting Sdn. Bhd., which specialises in Organisational Development. Besides being a much sought after Buddhist speaker, he is also a talented musician. He sang and composed commercial songs and Buddhist hymns in Chinese and English. 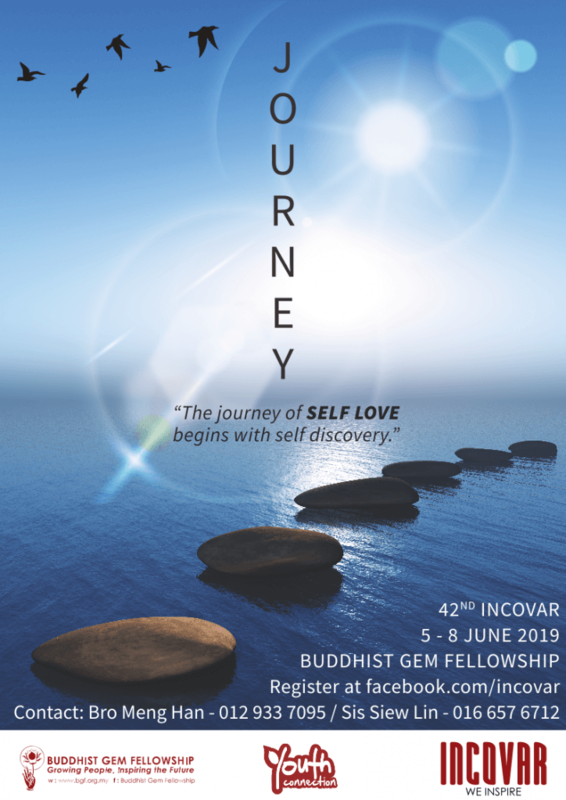 He is the Advisor for the Bodhi Buddhist Group, Buddhist Business Network and the founder of the GLAD program where he trains Buddhist leaders. He is a Think-Tank member of the Theravada Council of Malaysia and Director for the Centre of Research & Dhamma Leadership.